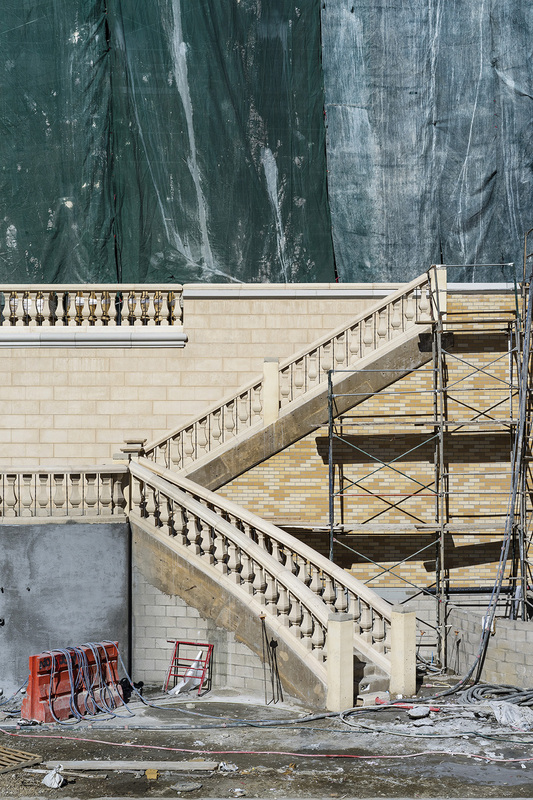 Peter Baker photographs urban space and its consequences. A travelogue and a study of social relations, the pictures of the ‘Current Treatment’ series taken in and of Los Angeles are about sites and people, and their collisions. 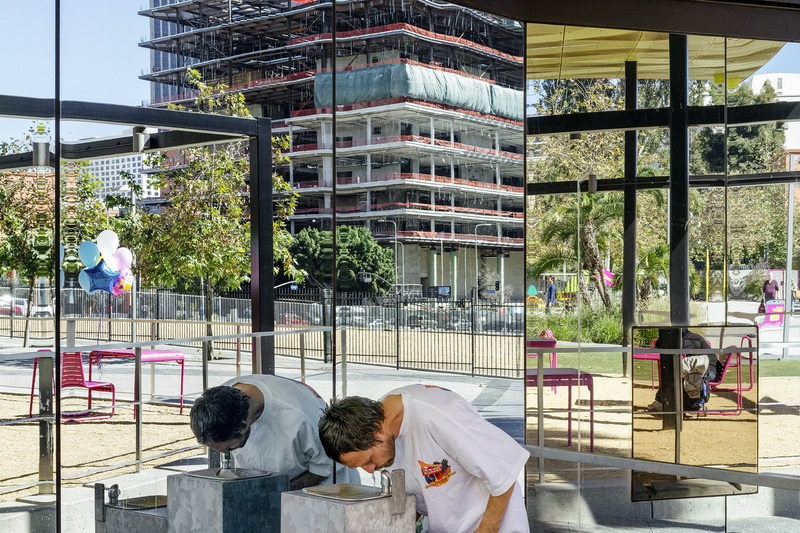 Born in New York and now living in Los Angeles, Baker is engaged with the contemporary city as a space that is both shared and segregated, communal and private. A photographer of the spatial turn, he records urban sites and the built environment as social spaces and barely inhabited stages of life. Baker avoids the visual tropes that became the ciphers of Los Angeles, a city without monuments and the subject of the most expansive image archive of the 20th century. There is not a single palm tree or gas station in sight, and there are no surfers, cars, freeways, modernist houses, corner bodegas, drive-ins, hills or vast California skies either. As opposed to the wholly commodified LA iconography created by filmmakers, photographers and artists such as Ed Ruscha and David Hockney, his images lack the vernacular horrors and charms of the city. Baker’s Los Angeles is not a site of leisure or an “eden in jeopardy,” nor it is a utopian place and a commodity of the long gone boosters or the dystopian nightmare envisioned by Ray Bradbury and Charles Jencks. Baker’s Los Angeles is a site unmarked by history, memory, and geography, and unaffected by its occupants. Occupants, indeed, might be the wrong word here, since no one occupies or inhabits the places we see. 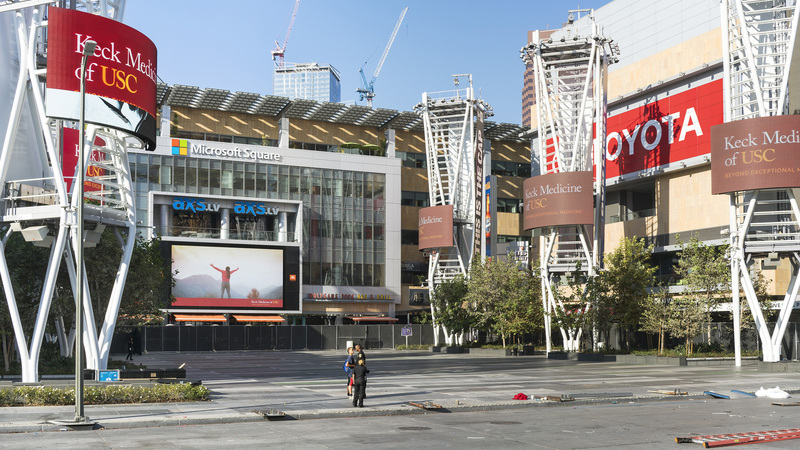 The young man facing a policemen at the heart of downtown Los Angeles’s fully corporatized Microsoft Square in ‘A Confrontation’ is an example of how “elements of the urban space and its occupants are at odds with each other, colliding in plain sight” as Baker stated about his New York pictures years before shooting the scene. Suffocated by the agoraphobic space and swallowed by billboard signs and screen images, the human interaction remains barely noticed yet it appears staged as if in a film set. In a film set, like the ruins of the New York street from Steven Spielberg’s ‘War of the Worlds’ that Baker shot on the backlot of Universal Studios in Hollywood. A straight picture of a simulated crash site, ‘Untitled (War of the Worlds, New York)’ documents a fake destruction staged by the entertainment industry, while ‘Untitled (The Da Vinci)’ records the remnants of the real devastation of the faux Mediterranean apartment complex in downtown. Built by the notorious developer, Geoffrey H. Palmer and burnt down by Dawud Abdulwali in 2014, the Da Vinci, still under construction at the time of the blaze, is now leasing apartments that are equipped with frost-free refrigerators and advanced life safety devices promising resort style living near the freeways that includes gardens, pools, a closed circuit security system, and free tanning sessions. Free tanning sessions might come handy for those Californians who aspire to achieve the Kardashian glow and are reluctant to use the bronzing lotions marketed by Los Angeles’s most famous family. Baker’s ‘Untitled (Kardashian Sighting)’ is a crowd scene of frenzied people taking photographs of the sisters’ shopping trip on Rodeo Drive. Staged for their reality TV show and also recorded by the paparazzi and passerby, the Kardashian sighting is another record of a confrontation, a battle of manufactured realities among cameras, and a hyperreal instance of self-commodification, surveillance, and image production. Image production – the instrument of dreams, fears and synthetic reality – is nowhere more at home than in Los Angeles. And nothing is less so than a motley crowd dressed in uniformly neutral colors on a downtown cross section where the dense and spontaneous “ballet” of street life as Jane Jacobs wrote in her compelling and somewhat naive account of postwar New York is rarely, if ever, present. The subjects, a group of actors working on a car commercial, are as isolated, fragmented, and out of place as the agitated witnesses of the Kardashians’ outing. Baker’s other protagonists are quarantined by glass cages and surface reflections in spaces that evoke a displaced stage. The comfortably dressed duo of A Transaction remains strangely undisturbed by the spectacle provided by the monumental image of an LA Clippers game in the neighboring Staples Center, while the homeless man at the water fountain seems to be odds with both the leftovers party supplies and the construction site of the new US Courthouse. Baker’s title, ‘Building for the People of the United States of America (Quality You Can Taste)’, merges the slogans of the General Services Administration, the custodian of the courthouse project, and the California-based In-N-Out Burger chain whose logo appears on the man’s T-shirt. The picture is an assemblage of words and images that bring to play ciphers of bureaucratic control, governmental responsibility, and extreme inequality at the center of Los Angeles. When shooting the towering structures of the city’s financial institutions, Baker replaced the lateral expansions of transparent surfaces with the vertical order of high-rise, corporate buildings that appear oppressive yet weightless. In ‘After “Fortress LA” by Mike Davis (Toward Wells Fargo Center)’, the dark enclosure of glass walls leaves no room for human presence. 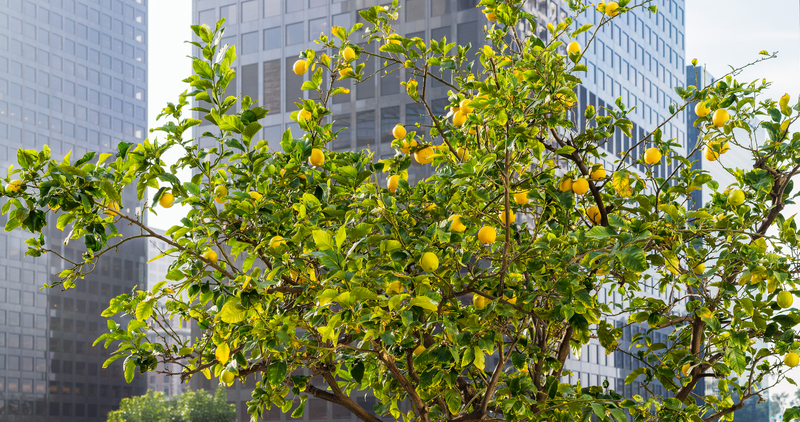 Baker’s picture is a record of the heavily monitored and privatized downtown where public space is scarce and “urban form,” as Davis put it, follows “a repressive function.” Davis’s notion of “Fortress LA” is both documented and counteracted by the large lemon tree that occupies another picture of Los Angeles’s Citigroup Center. As if to recall the long-gone citrus orchards that were once instrumental in securing the city’s economic power, the lemon tree is no less out of place than Baker’s human subjects. Peter Baker. 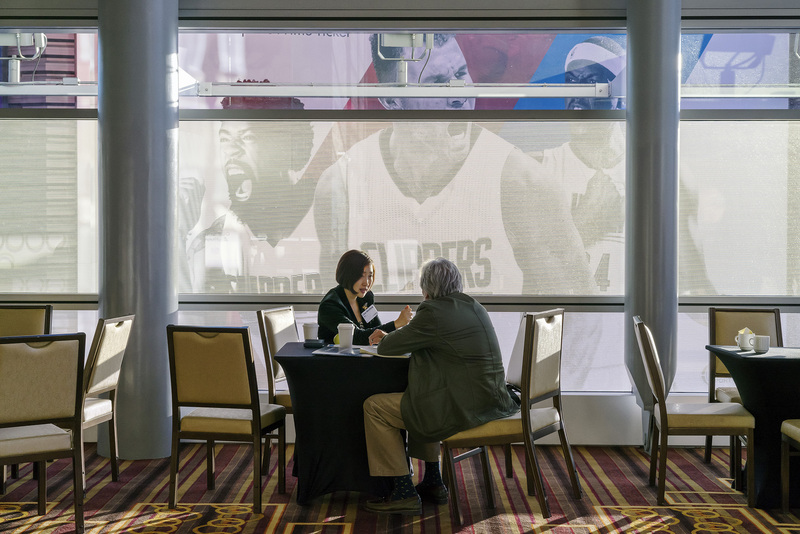 After “Fortress LA” By Mike Davis #2 (Citigroup Center) Los Angeles, 2015. 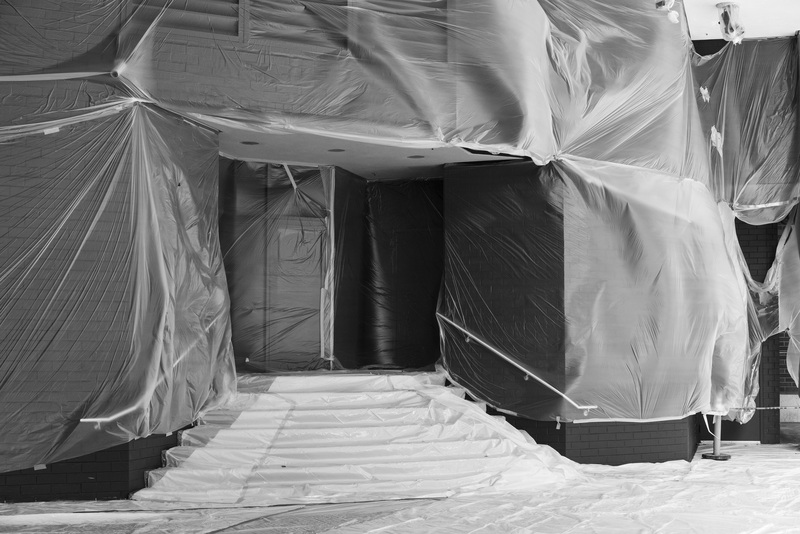 What do we see when looking at the pictures of modern buildings wrapped in plastic sheeting? What do we see after learning that they are in downtown Los Angeles, and were built in the 1980s? 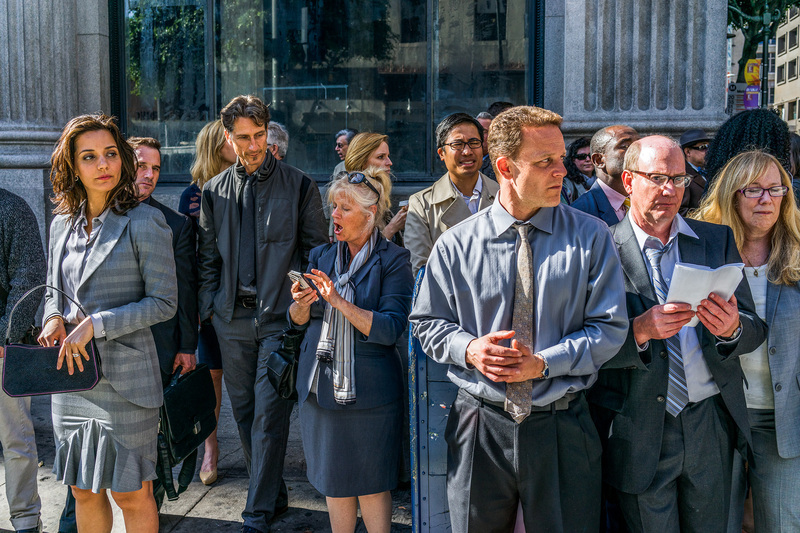 Does knowing that they are the Sheraton Hotel and the Citigroup Center–also known as the L.A, Law building after the once popular television drama–affect our understanding of them? And how do we see them once we learn that in the early 2010s they both underwent substantial and pricey rejuvenation projects? 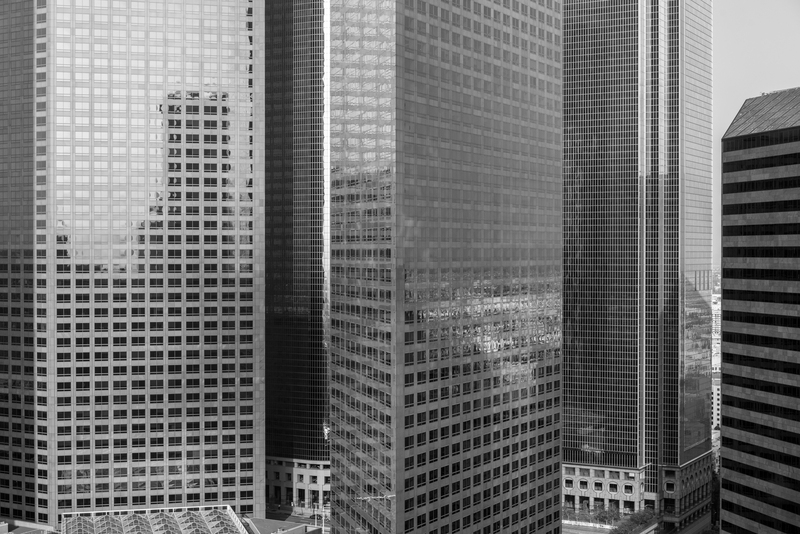 Baker’s ‘Untitled (Sheraton)’ and ‘Untitled (Citigroup Center)’ is about textures and light as well as about what is behind the see-through cover-up–corporate architecture, sites of labor and leisure, gentrification and segregation, and the never-ending process of capitalist urbanization of downtown Los Angeles. By asking us to negotiate the differences between seeing, knowing and believing, and by hiding his manifold subjects in plain sight, Baker proves that–as the Italian photographer Luigi Ghirri wrote in his 1978 photo book ‘Kodachrome’: “photography always shows what we already think we know.” Since thinking of knowing is never good enough, it is time we learn from Baker’s Los Angeles. 2/2 Peter Baker. After “Fortress LA” By Mike Davis (Toward Wells Fargo Center) Los Angeles, 2016. Edward W. Soja, Postmodern Geographies: The Reassertion of Space in Critical Social Theory, London, Verso, 1989, 222. Italo Calvino, Invisible Cities, trans. by William Weaver, New York, Harcourt, Brace and Company, 1974, 44. Peter Baker in conversation with Karolina Chojnowska in No Greater Fiction, New York, Bosi Contemporary, 2014, 21. Mike Davis, City of Quartz: Excavating the Future in Los Angeles, New York, Vintage Books, 1992 , 228. 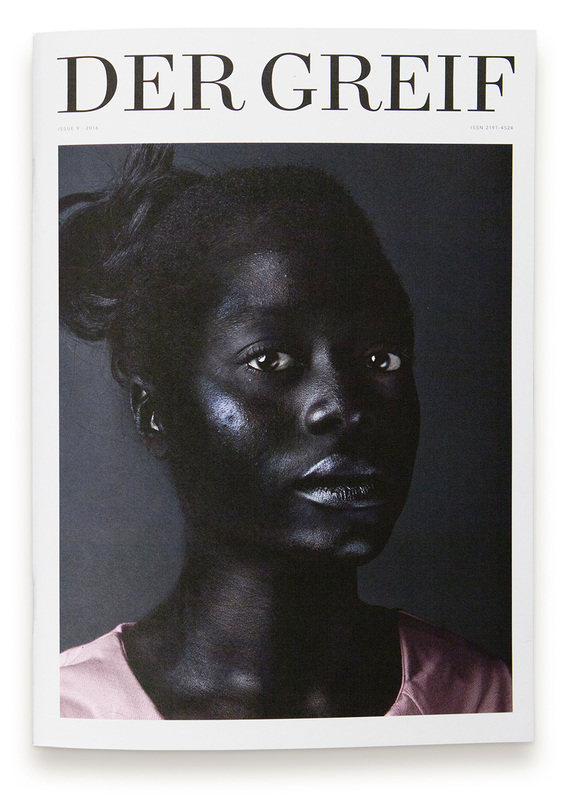 Peter Baker in conversation with Karolina Chojnowska in No Greater Fiction, New York, Bosi Contemporary, 2014, 30. Luigi Ghirri, “Kodachrome–Introduction” in The Complete Essays 1973-1991, London, Mack Books, 2016, 20.